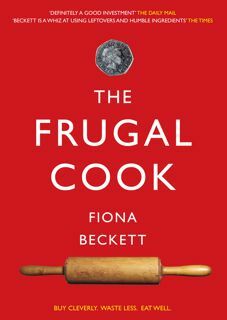 Those of you who have been following this blog for a while may like to know that a new edition of The Frugal Cook has just been published. And for others who are coming across it for the first time I’d just like to say a bit about the approach I took in the book. I got a bit of flak when the first edition was released for not concentrating enough on traditional recipes. One reviewer asked why I didn’t focus more on cuts like hearts, tripe and pilchards (because I don't much like them, is the honest answer). Another said “If the author thinks this is frugal she should have a word with my mother who cooked her way through the Second World War both domestically and running a night canteen for firefighters”. But that was nearly 70 years ago, I need hardly point out. Tastes have changed. 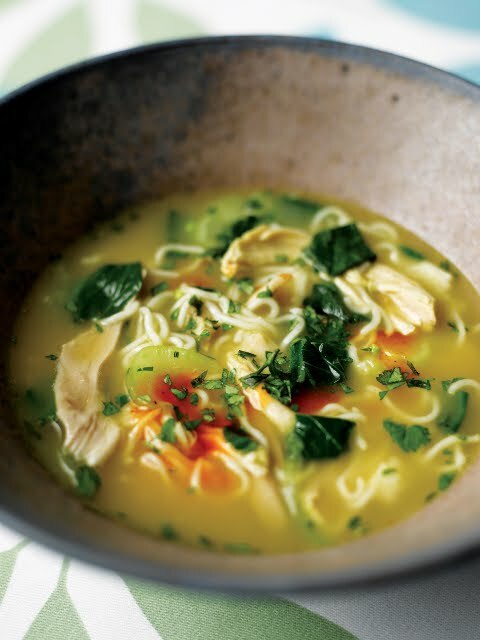 There are tips for salvaging often discarded ingredients like spinach or broccoli stalks (Stalky Spinach, Pea and Mint Soup) or the leftovers from a barbeque (Chargrilled Chicken, Pepper and Herb Couscous Salad). And ones for cutting down the cost of family favourites like my Frugal Fish Pie. 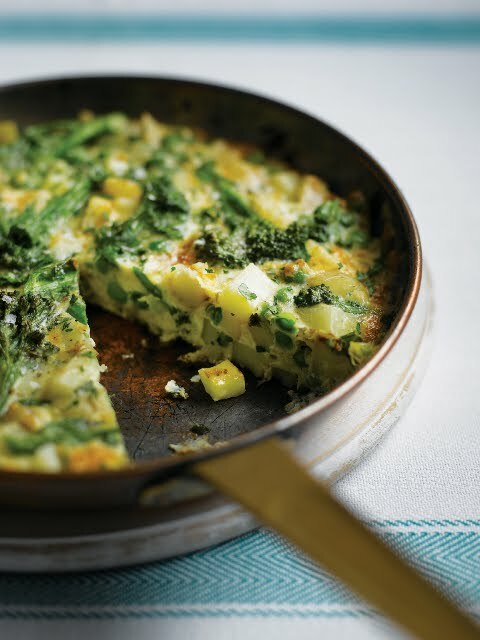 In fact there are tips for substituting ingredients and saving money throughout. There are also treats - would I deprive you of treats? - like Empress of Puddings (a poshed up version of Queen of Puddings based on humble eggs, breadcrumbs and frozen berries as well as jam) and good old profiteroles. Who doesn’t love them? In short there’s something for everyone whether you’re living on your own, feeding kids or entertaining friends and some lovely pictures (by Mike Cooper and Genevieve Taylor) to inspire you. At £9.99 - less than the original edition - it's cheap enough to treat yourself and a good gift for a friend. End of sell! PS if you want to buy the new illustrated edition make sure it’s the one with the red cover not the green one! I usually use five large ones for a frittata. When's the wedding? Well i didn't get the first edition .. so I shall be buying this one. It looks great. Congrats on the new edition Fiona. Can't see why you received flak for the first edition, thought the book was (and still is) relevant, timely and extremely useful. Curmudgeons! Very kind - many thanks, Sig :) I guess it wouldn't have been reissued if there hadn't been a demand for it - and fortunately it got some great reviews to balance the curmudgeonly ones! Ooh, I'll definitely be getting that. Not sure about this tripe business - nothing's good value if you buy and can't bear to cook it! I'm trying to figure out where to leave this comment. I just found you though another blog and yum. I am still learning to cook, and trying to cook frugally is hard for me. I love almost every recipe I have read on here. I'm going to add you to my blog list and keep up from now on. What a wonderful blog. I just bought your new edition. I have made Frugal Fish Pie (good) and Spinach and Ricotta Pasta Bake (I liked it, but my husband thought there was way too much spinach). There are other recipes I plan to try too. Evidently some foods which are expensive here in Canada are frugal in the UK (lamb, Stilton...). I haven't seen a frugal Canadian cookbook though.